As we draw closer to Holy Week, and to Good Friday, we begin to see that hatred was growing toward Jesus. Just as we saw in yesterday’s reflection, this makes no sense. 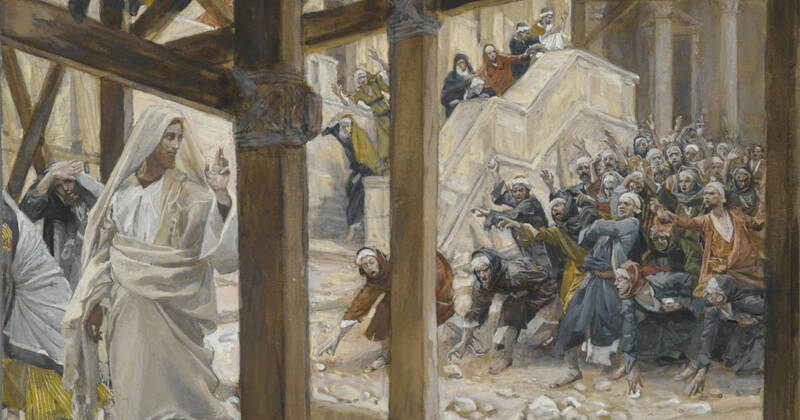 To hate Jesus and to desire to stone Him to death is an act of the greatest irrationality. But this is what happened. Little by little, those who were against Jesus grew in boldness until that ultimate day came when He laid down His life for us and willingly embraced His death. Over the next two weeks it’s good to face this irrationality and persecution head on. It’s good to see the hatred of so many and to name it for what it is. No, it’s not a pleasant thought, but it is reality. It’s the world we live in. And it’s a reality we will all face in our lives. When confronting evil and persecution, we should do so as Jesus did. He faced it without fear. He faced it with the truth and never accepted the lies and calumny that so many threw at Him. The fact of the matter is that the closer we grow toward God, the greater the persecution and hatred we will encounter. Again, this may not make sense to us. It’s easy to think that if we are close to God and strive for holiness everyone will love and praise us. But it wasn’t that way for Jesus and it will not be that way for us either. One key to holiness is that in the midst of persecution, suffering, hardship and sorrow, we stand firm in the truth. It’s always tempting to think that we must be doing something wrong when things do not go our way. It’s easy to be confused by the lies and calumny that the world throws at us when we try to stand for goodness and the truth. One thing God wants of us, in the midst of our own crosses, is to purify our faith and resolve to stand firm in His Word and Truth. 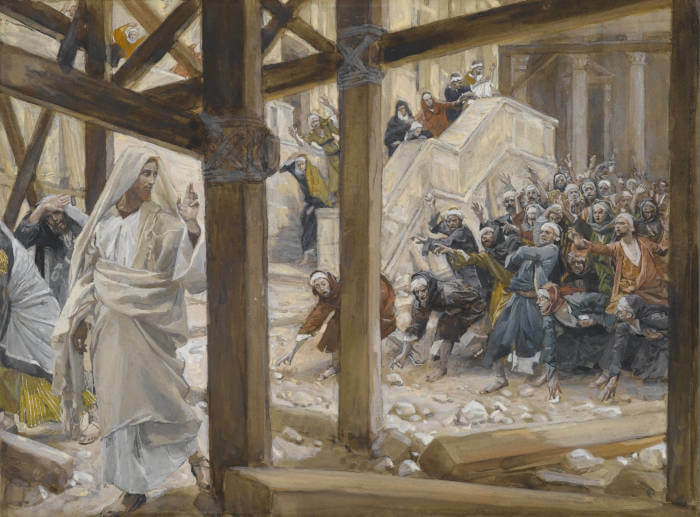 When we face some cross or some persecution it can be like getting hit in the head. We may feel like we are in a daze and can give into panic and fear. But these are the times, more than any other, when we need to stand strong. We need to remain humble but deeply convicted about all that God has said and revealed to us. This deepens our ability to trust God in all things. It’s easy to say we trust God when life is easy, it’s hard to trust Him when the cross we face is quite heavy. Reflect, today, upon the fact that no matter what your cross may be, it is a gift from God in that He is desiring to strengthen you for some greater purpose. As Saint John Paul the Great said over and over during his pontificate, “Do not be afraid!” Face your fears and let God transform you in the midst of them. If you do so, you will discover that your greatest struggles in life actually turn out to be your greatest blessings. Lord, as we draw near to the commemoration of Your own suffering and death, help me to unite my crosses to Yours. Help me to see in my daily struggle Your presence and strength. Help me to see the purpose you have for me in the midst of these challenges. Jesus, I trust in You.